At Dragon Mist Distillery, we pride ourselves in producing the finest quality spirits that British Columbia can be proud of. With our signature range of premium spirits and liquors, our Craft Distillery offers the opportunity to experience the flavors and aromas that Canadians are known for. Catering for a variety of tastes, there is something in our range of distilled spirits to suit every palate. The key to distilling high quality spirits and premium liquors is found in the attention to the ingredients used within the recipes. 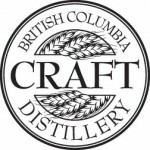 That is why Dragon Mist Distillery opts to use the highest quality ingredients sourced in the Greater Vancouver Area. Our signature Dragon Mist Vodka and our ever popular Baiju is made using locally grown wheat and perfected using pure, beautiful glacial water from the mountains near Vancouver, BC. Not only that, but our products are also certified gluten free. We at Dragon Mist Distillery know how important it is to achieve that smooth, delicious flavor when it comes to your spirits, and that is why we aim to produce the most unique and delicious experience. Functioning also as a gin distillery, we know that the delicate flavor of our micro-distilled gin combined with the botanical blends means that you can discover the most inspiring cocktail creations. Even if you are not a big fan of stronger spirits, we can help you discover new and interesting flavors. Our Limoncello and Cranberry Liqueurs are breathtaking and delightful products that will help you breathe life into your cocktails and drink mixes. We have also created delicious a delicious Coffee Liqueur for those who want to give their cocktails a little kick. Whether you prefer vodka, or you rather like our Chinese-inspired Baiju, our range of deliciously crafted spirits and liqueurs are sure to light up your taste buds. Combining the best of British Columbian wheat with the magic of glacial water, our products are refreshing, unique and inspiring. To help ensure that you have a positive tasting experience, all Dragon Mist Distillery products and ingredients are carefully monitored and are certified gluten-free.